Changing demographics, with an ageing population increasing the proportion of the population with hearing problems. Changing socio-economics, with many groups being economically disadvantaged and under-served. Changing technologies, including automated auditory assessment, reduction in hearing aid component costs, fitting programs run on PCs, and possibilities for more compact packaging. Changing service delivery paradigms such as store-front sales (e.g. Costco) and internet sales, telemedicine opportunities testing and fitting possibilities. Donohue et al (2010) noted that some professional concerns may restrict accessibility and affordability, with an unwillingness to make and sell lower cost devices, and tensions related to the educational qualifications needed to make diagnoses and undertake device fitting. Mohr et al (2000) noted the significant societal cost associated with hearing loss, that a person could become socially isolated, be more at risk because audible warnings are not heard, and be less productive in the workplace. It has been suggested that sensory decline in older adults, including hearing difficulties, challenge comprehension and memory for everyday speech, and that depression, anxiety, lethargy and social dissatisfaction are often reported (Wingfield et al (2005), Heine and Browning (2002)). Wallhagen et al (2004) noted that a spouse’s hearing loss also impacted their partner’s physical, psychological and social well-being. In summary, there are social and economic arguments for increasing hearing aid uptake, but there are also some barriers. Open Source: A product/process development practice where intellectual property is shared with others to speed its development under an arrangement where enhancements are available to the originator. 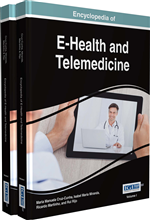 Telehealth: Provision of supporting healthcare services and data sharing via electronic media. Beta Testing: Preliminary testing, evaluation and adaptation of an operational system in conjunction with groups of informed users. Telemedicine: Provision of on-line diagnostic, treatment delivery and monitoring as a client service. Open Innovation: Identifying innovative ideas in conjunction with common interest individuals/groups to identify potential new developments or improvements to existing products/processes/services. Client/Patient: The bulk of the literature on telemedicine presents a practitioner view of those being provided with medical services and commonly refers to them as patients. There is an implication that such people are under close supervision by a medical professional. Telemedicine tools offer more possibilities for self-management, drawing on practitioners for specific supporting services. Consequently in this chapter, the term client is used to describe those being provided with health management assistance. Audiology: An allied healthcare profession dealing with the evaluation and treatment of hearing and balance disorders.